One of the most famous names in automotive history, Daimler-Benz (“Mercedes” was only a Benz model name in 1901; the company became known as Mercedes-Benz in 1926) can trace its roots back to 1889 and the first motorcar, Karl Benz’s PatentMotorwagen. One of the oldest and most famous names in automobile history is Mercedes. The company began building cars in 1901. 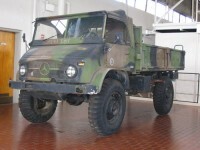 Daimler-Benz factories suffered greatly during World War II, but their recovery after the war was dramatic. The Messerschmitt was one of the first and among the most successful of the many microcars that hit the motoring scene in the 1950s. Although it bears the name of the famous aircraft builder–Willy Messerschmitt–he had little to do with the car’s design. 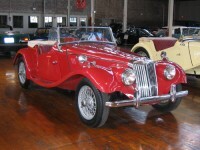 The M Type shown here was MG’s first high volume sports car. Simple and fairly reliable, the M Type offered reasonable performance at a very low price. 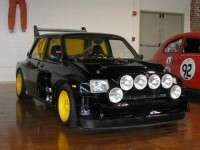 This Group B rally car was designed and built under contract by Williams Grand Prix (Formula 1) Engineering. Unlike other top rally cars at the time, it was naturally aspirated rather than turbocharged. The MG Midget is essentially the same car as the Austin Healey Sprite. This Midget has been modified for racing by bhp developments and was raced by Jeff Lane in S.C.C.A. In 1936, the MG (which stands for Morris Garages) Car Company began production of the T-series. 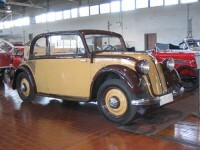 The MGTA Midget and the MGTB were produced pre-WWII. After the war, MG was back in production quicker than most British companies. 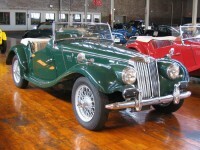 The MG TC hit the market immediately after the war, following on the success of the pre-war MG TA and TB. While the cycle-fendered example seen here differs outwardly from a standard MG TC, it also has a hidden surprise – under the hood lies a period hot-rod engine, complete with a Coventry-built Shorrock supercharger. By 1949, the MG TC had become outdated. When it was originally released, it was a slight improvement of the TB version that was designed prior to World War II. Servicemen returning from the European Theater after WWII had become infatuated with the sports car. 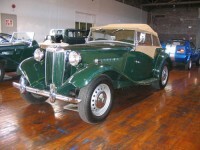 One of the most popular and recognizable was the MG T-series. In 1949, the MG TC gave way to the MG TD; in 1953, the MG TD gave way to the MG TF. In 1936 the MG (which stands for Morris Garage) Car Company began production of the T-series. They introduced the MGTA Midget with just over 3,000 being produced. 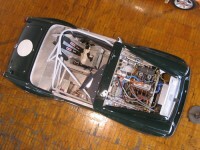 The MGB proved even more successful than its predecessor the MGA. In 1965 came a coupé version–the MGB GT, which had an attractive and functional closed version of the standard body. Mia was a very ambitious, all-electric vehicle manufacturer located in Cerizay, France. The state-of-the-art, fully-reconfigured (former Hueliez coachbuilders) plant employed 16 designers and 80 engineers, including former VW and Bertone design executives. 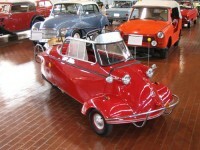 Jeanneau, the parent company of Microcar, began as a builder of fiberglass pleasure boats, but soon turned to the production of sans permis microcars – cars small enough to not require many of the legalities of full-sized cars.